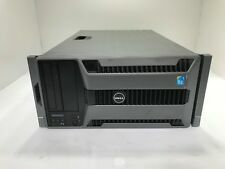 Available for sale is a Dell Poweredge T710 Rackmount Server (2x Xeon E5630 / 72GB / No HDD / H700) 3763. This item is tested and working, and has been reset to factory defaults. No rails included. 560GB SAS HDD (3x600gb physical disks). I have another server. Dual X5680 hex core cpu. For sale is DELL POWEREDGE T710 with following spec 16 bay sff small form factor, NO HDD AND NO CADDY. 3U Dell Genuine Rail Kit included. dell perc h200. idrac 6 enterprises kit. RAM: 144GB of DDR3 SD RAM ( 18 x 8GB). DELL PowerEdge T710 Tower Server. Hard Drives: 2 X 100GB Enterprise SSD Drives -RAID-1 for OS. Backplane: 2 x 8 Bay 3.5”SAS / SATA /SSD. Graphic nVidia Graphic card. Dell Poweredge T710. DELL Poweredge Servers. Dell Poweredge 2850. Dell Poweredge 1950. Dell Poweredge 2900. Dell Poweredge 2950. Dell Poweredge R200. Dell Poweredge R410. Dell Poweredge Tower T710. DELL Poweredge Servers. Dell Poweredge 2850. Dell Poweredge 1950. Dell Poweredge 2900. Dell Poweredge 2950. Dell Poweredge R200. Dell Poweredge R410. DELL PowerEdge T710 Tower Server. RAM: 64GB of DDR3 RAM (72/128GB /144 GB RAM Options available) . Hard Drives: 2 x 146GB 15,000RPM SAS Drive . Rail Kit: N/A Tower version. 4 X 2TB 7.2K LFF SATA Drive cables 12tb RAW SATA Storage. Dell Poweredge Tower T710. 2 x Hex Core XEON X5650 2.66GHz Processors. DELL Poweredge Servers. Dell Poweredge 2850. Dell Poweredge 1950. Dell Poweredge 2900. Dell Poweredge 2950. Dell Poweredge R200. Refurbished - Dell PowerEdge T710 Rack Server. Product Code: T710-132. Dual (2) Xeon E5649 2.53Ghz Six-Core Processor. Dell PowerEdge T710 Rack Server. Dell PowerEdge T710. Blade Server. Server Options. Server Racks. No Rack Mount Rails Included. Systemax Technologies Pty Ltd is a trusted supplier of servers, options, storage and networking products, server racks, high end workstations and much more to organisations throughout Australia. 12-Core 2 x X5670 2.93GHz. Model T710. Processor Type X5670. 8 x 1TB SAS HDD. Product Line PowerEdge. Total Processor Cores 12. Processor Speed 2.93GHz. UPC Does Not Apply. DELL POWEREDGE T710 RAIL KIT. we do not take any responsibilty after this. Ending Soon. New Arrivals. QUICK LINKS. Monitor & TV. Desktop PC. PC Components. Dell PowerEdge T710. Dell PowerEdge T610. Dell PowerEdge R510. Dell PowerEdge R410. Dell PowerEdge R610. Dell PowerEdge R710. Dell PowerEdge T310. Dell PowerEdge T410. For PowerEdge 1950 2950 2970 6850 6950 R210 R410 R510 R605 R610 R710 R810 R900 R910 R970 T310 T610 T710 M605 M610 M710 and others. For all Dell PowerEdge servers with 2.5" Hot plug drive bays. Dell P/N 0W348K | W348K. Drive Capacity 600GB. United Kingdom. Southall, UB2 4NJ. Windmill Place, 2-4 Windmill Lane. Unite 4 Ironbridge House. Anisa Technologies Ltd. Model HUS156060VLS600. DELL POWEREDGE T610/T710 3U RAIL KIT. we do not take any responsibilty after this. Ending Soon. New Arrivals. QUICK LINKS. Monitor & TV. Desktop PC. PC Components. Interface SAS. Add to Favorites. Dell PowerEdge T710. Dell PowerEdge T610. Dell PowerEdge T410. Dell PowerEdge R510. Dell PowerEdge R410. Dell PowerEdge R610. Dell PowerEdge R710. Dell PowerEdge T310. For PowerEdge: R210, R310, R410, R510, R610, R710, R810, R910 T410, T610, T710, most other R and t-Series & PowerVault NX3000. pulls from new servers - Tested - with black plastic casing. Dell PowerEdge T710. Dell PowerEdge T610. Dell PowerEdge R510. Dell PowerEdge R410. Dell PowerEdge R610. Dell PowerEdge R710. Part Number: Hynix HMT151R7BFR4C-G7. Dell PowerEdge T310. Genuine Dell Remote Access iDRAC6 Enterprise PowerEdge R310 R410 R510 R610 R710 R715 R810 R910 - K869T. Dell Part#: K869T. 1x Genuine DELL iDRAC 6 K869T/0K869T Enterprise. 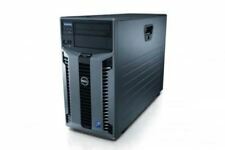 Compatible with PowerEdge R310 R610 R710 R715 R810 R815 R910 Series Servers and NX200 NX300 NX3000 NX3100 PowerVaults. 8V22F, J38MN, 08V22F, 0J38MN, MU791 / XTGFW / C472K. Add to Favorites. Windmill Place, 2-4 Windmill Lane. United Kingdom. DELL POWEREDGE T610/T710 BACKPLANE. We Accept Only. Ending Soon. New Arrivals. QUICK LINKS. we do not take any responsibilty after this. Why Choose Us! Audio Visual.